This smart piece of packaging is designed particularly for selling and transporting cakes and other bakery items with great protection. It comes bundled with a plenty of benefits that would help you add a stroke of convenience to your bakery business. 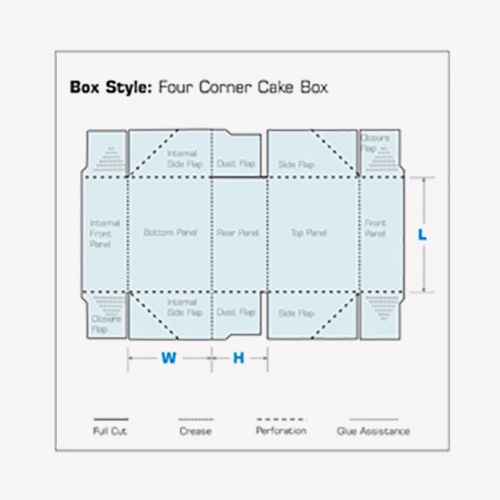 An insert board which is included in the four corner cake box helps to limit the movement and to avoid any damage to the items kept within. This also ensures a safe transit for your bakery items. In addition to all this, you may fold down this packaging into a fully flat position so as to allow extra convenience when not in use. 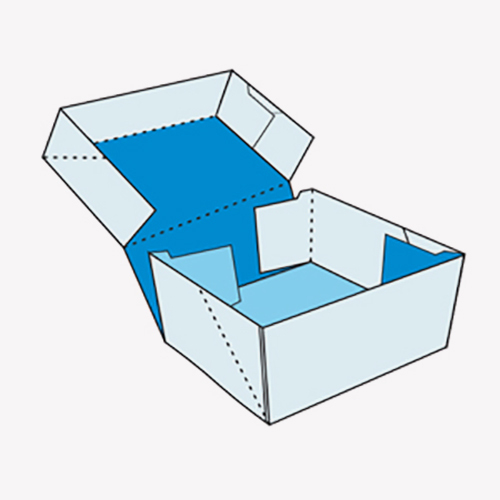 Not only folding a four corner cake box is easy but bringing it back into the sealing position is a matter of a few seconds. 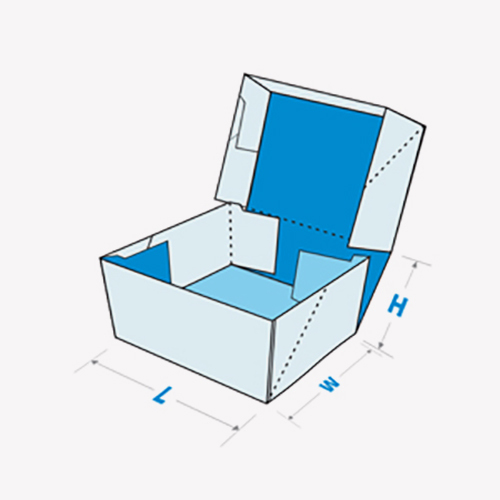 All you need is to stretch the box and it would be back into its original shape. The stock we make use of is premium quality cover cardstock, however, we also provide custom stock, size, design and printing services suiting all your business requirements.